A Double Feature Battle of the Boxing Bobs! After the beating 2016 delivered, it’s only natural to stare into 2017 with your guard up. And the New Beverly is never caught cold, in fact we’re establishing our ring generalship on Friday, January 6th & Saturday, January 7th with two titlist dramas involving the sweet science. In addition, it’s a first time pairing for two of our favorite Roberts, making it a Battle of the Boxing Bobs! 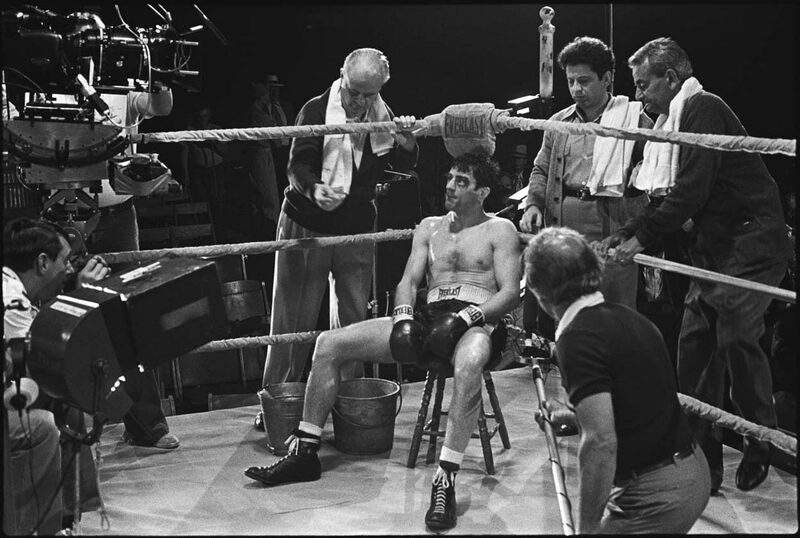 Our opening bout at 7:00pm is the film widely regarded by many critics as the greatest movie of the ‘80s, Martin Scorsese’s 1980 classic Raging Bull starring Robert DeNiro. 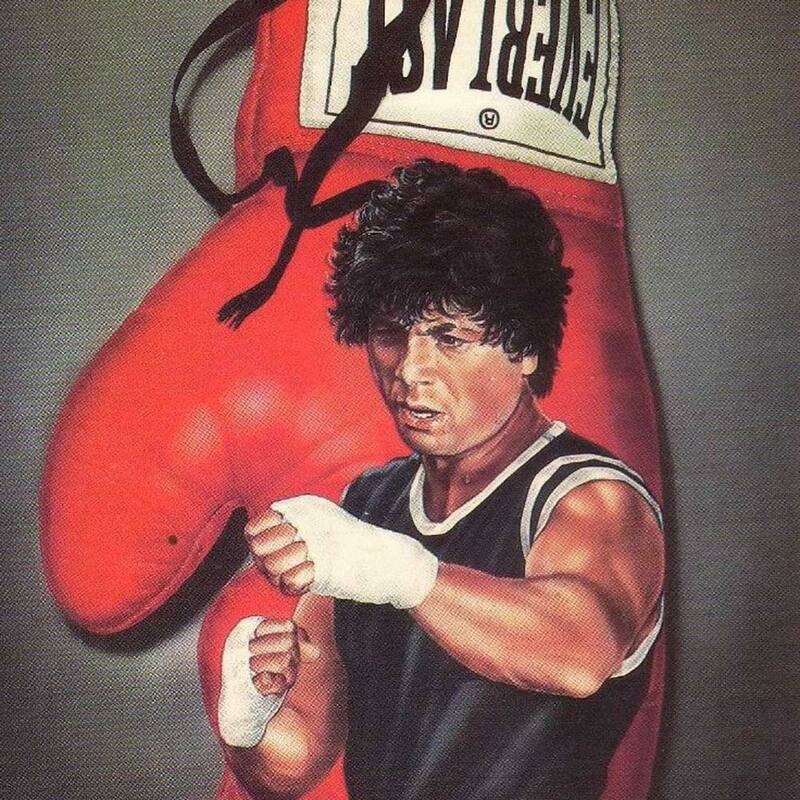 And our second main event of the evening at 9:40pm is an underappreciated contender making an auspicious return to the cinematic squared circle, Franco Prosperi’s 1972 crime drama The Boxer, starring Robert Blake, which he made after his acclaimed leading role in Tell Them Willie Boy Is Here and before appearing in Electra Glide in Blue. One of the many details that has cemented Martin Scorsese as a beloved director is his respect and appreciation for low-budget “programmer” films in an equal degree to that for highbrow fare. Grindhouse legend Joseph Brenner even released his first film, Who’s That Knocking At My Door. As such, our pairing of Bull and Boxer offers up a kinship that goes further than simply having pugilist protagonists. 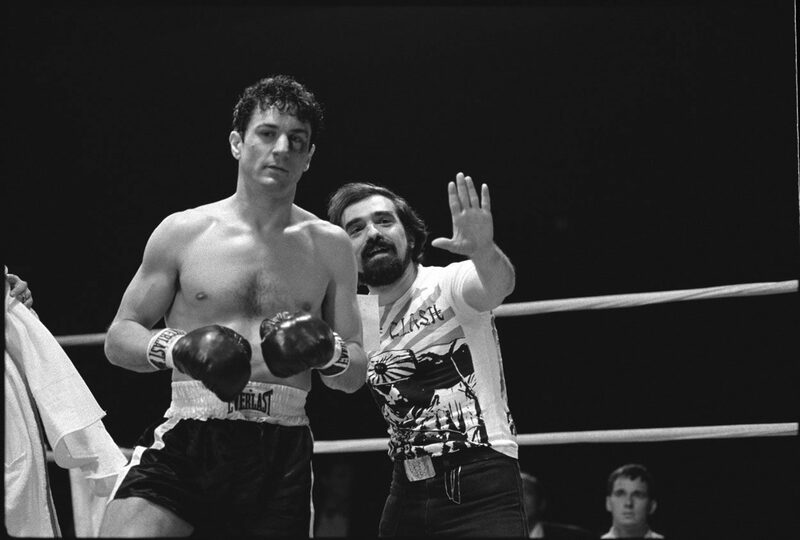 Boxer, under its alternate release title Ripped Off, was both featured on a movie theater marquee and in a poster case in Taxi Driver. And while Bull is the movie that elevated Joe Pesci to a colorful career, it was Scorsese spotting him in Ralph DeVito’s 1976 saga Family Enforcer that inspired the casting. 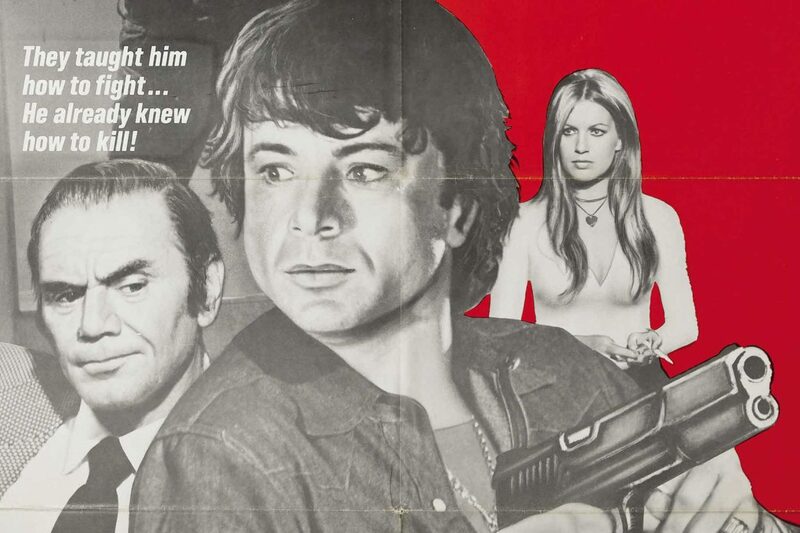 The Bev paid tribute to this symmetry by screening Enforcer with Mean Streets this past March. Also, before his cinematic redemption through this biopic, Jake LaMotta already had a respectable second career in the movies, and while he sometimes showed up in studio hits like The Hustler, his primary exposure was in 42nd St. curiosities like Confessions of a Psycho Cat and Who Killed Mary Whats’er Name. LaMotta is also the uncle of grindhouse legend and frequent New Beverly guest Bill Lustig: in fact, Lustig’s Maniac was mixed at the same sound studio as Bull, and Maniac immediately opened after Bull at the Cinerama Theatre in Times Square in 1980! 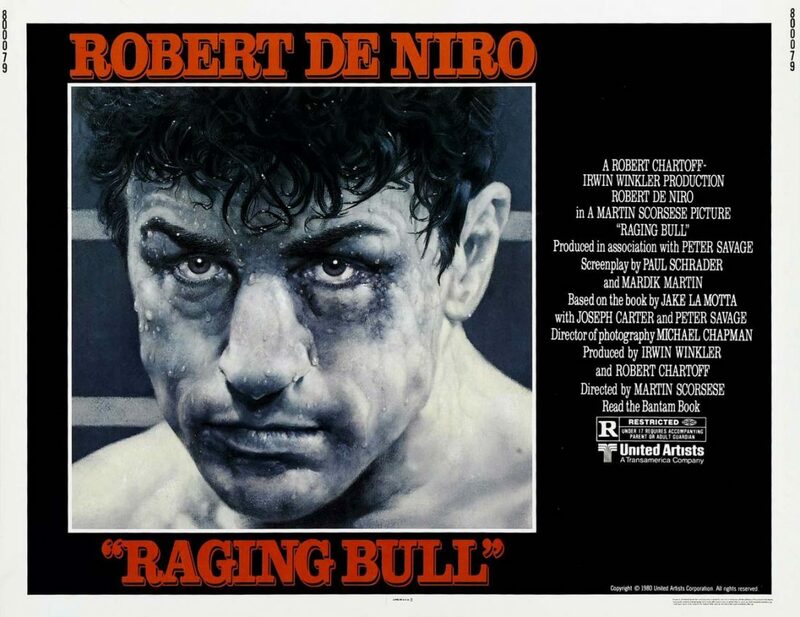 Look, we don’t need to make a hard sell on Raging Bull; the record speaks for itself. Academy Awards for Robert DeNiro and editor Thelma Schoonmaker, the latter winning for her first sanctioned collaboration with Scorsese after years of fighting for admission to the Editor’s Guild. 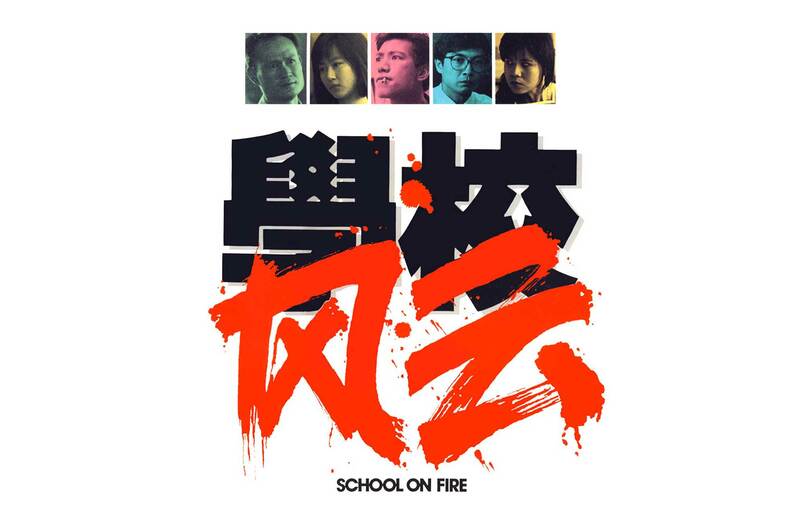 One of the first movies selected for the National Film Registry in 1990. Multiple AFI and Sight & Sound recognitions. Plus, hundreds of film homages and barroom wiseacres throwing down those memorable exchanges. Be it an initial or a repeat viewing, seeing this with an audience is a winning decision. The Boxer, meanwhile, presents a familiar template of a manipulated mauler and melds it with poliziotteschi action. Teddy “Cherokee” Wilcox (Blake) refuses to throw a fight for his manager Nick da Catarina (Gabriele Ferzetti), and when Nick is found dead soon after, Teddy is the prime suspect, with police Captain Perkins (Ernest Borgnine) using Teddy’s criminal past and Vietnam kill record as fodder for the case. As he looks to clear his name, Nick’s daughter (Catherine Spaak) tries to keep him safe, and a mysterious hippie freak (Tomas Milian) may know more than he’s letting on. Where Bull addresses the fallout LaMotta faced from taking a dive, Boxer suggests what graver dangers he may have dealt with if he hadn’t. Armando Crispino and Lucio Battistrada, contributing writers on New Bev war favorite Commandos with Lee Van Cleef, came up with the original screenplay for The Boxer, with additional contributions from Minnesota Clay and A Fistful of Dollars collaborator Adriano Bolzoni, and American TV vet Don Carlos Dunaway, who wrote for both “Baretta” and its predecessor “Toma” and created “Kaz” with Ron Leibman. Director Franco Prosperi previously assisted Mario Bava in directing Hercules in the Haunted World, which will screen later this month at the Bev. The lush score is by Carlo Pes, whose compositions “Il Mondo” and “Rito a Los Angeles” have been featured in Ocean’s Twelve, 21 and About Time. Gabriele Ferzetti, playing ill-fated manager Nick, is most likely recognizable as the crippled railroad baron Morton in Once Upon a Time in the West and as Diana Rigg’s father in On Her Majesty’s Secret Service; a last prominent role before passing away in December 2015 was opposite Tilda Swinton in Luca Guadagnino’s I Am Love. The fetching Catherine Spaak has given iconic performances in Dino Risi’s Il Sorpasso with Jean-Louis Tritignant, Dario Argento’s The Cat o’Nine Tails and in the frequent New Bev attraction Take a Hard Ride with Jim Brown and Fred Williamson. And while Tomas Milian had already dabbled in some of the earliest entries of the Italian crime genre, it was shortly after this performance that he would become one of the biggest stars of the poliziotteschi, as a villain in Almost Human and Assault with a Deadly Weapon and as a hero in the Cop in Blue Jeans franchise. Much like this week’s previous attraction Target of an Assassin, The Boxer has been spotted in many budget-priced DVD collections under multiple titles – Ripped-Off, Tough Guy, Counter Punch, Murder in the Ring – and almost every release has been either pan-scanned and/or sourced from an edited TV print. Our screening will be the only way to see it in its original aspect ratio and theatrical cut. So don’t take it on the chin from cheap inferior presentations; sock it to ‘em by watching it on our big screen. Spend the first weekend of January watching Robert DeNiro fight his self-destructive nature and Robert Blake fight off mob sabotage with us. 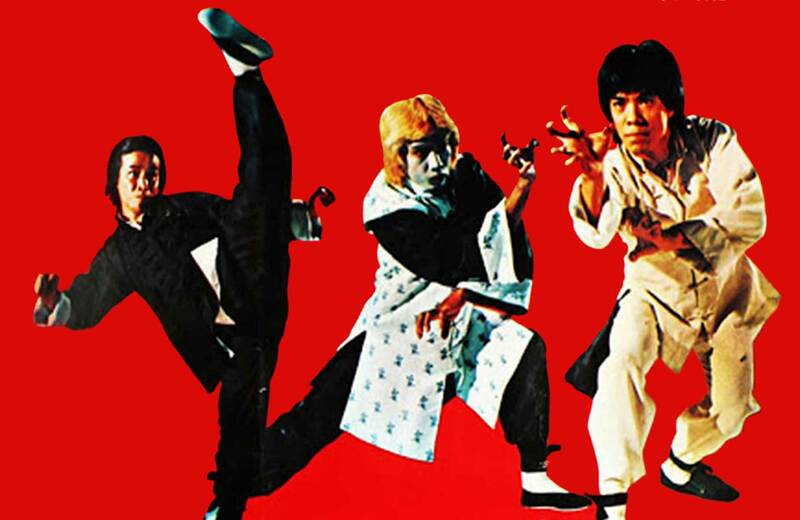 Because when it’s all over, there’s no split decision – the movie audience is the big winner!